Social psychologist Robert L. Kahn, a founding member of the University of Michigan Institute for Social Research (ISR), died on Sunday, January 6, 2019 in Burlington, Vermont at age 100. He will be remembered for his pioneering work on organizational theory and for his research on – and inspiring embodiment of – successful aging. Dr. Kahn had lived in Ann Arbor, Michigan for over 70 years. Since the 2012 death of his beloved wife, Beatrice (Bea), he spent an increasing amount of time with his daughters Marcia and Judith in Madison, Wisconsin and Janet in Burlington, Vermont. Dr. Kahn had been a member of the University of Michigan (U-M) faculty for almost 40 years when he retired in 1988, having served as Director of the Survey Research Center at ISR from 1968 to 1976, and Acting Director of ISR in 1983. In the following decades, he continued to conduct innovative research and came almost daily to his ISR office. He was an active Research Scientist Emeritus, Professor Emeritus of Psychology, and Professor Emeritus of Health Services Management and Policy until a few years before his death. In the late 1950s and early 1960s, Dr. Kahn became a central member of one the world’s first research programs — combining social psychologists, epidemiologists, physicians, and a biochemist – to study the impact of psychosocial factors on health, initially occupational stress on health, and then more broadly the health impact of psychosocial factors in all realms of life and over the entire adult life course. James House, an early student in this program and later a colleague in it with Kahn over four decades, sees the program as “exemplifying not only Kahn’s excellence as a scholar and scientist, but even more his extraordinary ability to work across disciplinary boundaries and catalyze and lead interdisciplinary teams always focused on increasing understanding of social life and improving human health and well-being”. Dr. Kahn’s pathbreaking 1966 book with co-author and fellow ISR researcher Daniel Katz, The Social Psychology of Organizations, changed the field of organizational psychology by applying a framework of open system theory—the belief that an organization continuously interacts with its environment—to research on leadership, role behavior, and organizational effectiveness. Kahn later studied how organizational demands affect the health of their members, and examined the relevance of organizational theory to international affairs. Dr. Kahn’s formal retirement at the age of 70 didn’t end his academic career; rather, it allowed him the freedom to focus his research. The MacArthur Foundation had asked Kahn to join a small, interdisciplinary group of research scientists to take a fresh look at the field of aging. 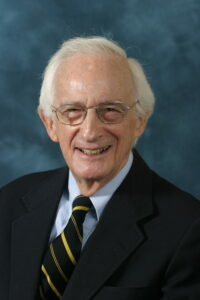 In 1998, at the age of 80, Kahn and geriatrician John W. Rowe, chair of the group, published Successful Aging, summarizing 10 years of the group’s work. In the early 2000s, Dr. Kahn was able to study the application of those principles when a new program based on the MacArthur findings was launched in a few Florida retirement communities. Called Masterpiece Living, it supported residents in four areas of aging: physical, social, intellectual, and spiritual. Dr. Kahn and fellow ISR researcher Toni Antonucci found that the supports helped participants stay stable and make small gains in health and well-being at an age when significant declines were the norm. More recently, Dr. Kahn and Antonucci were studying whether the same gains would be possible in retirement communities serving people with a lifetime of cumulative economic and other disadvantages. Again, the intervention showed that stability could be achieved even with this group and in some cases, even improvement. Like the Successful Aging book, this work has inspired a different perspective on aging, one which targets lifestyle change and improvement at any age and among any group. Born in Detroit in 1918, Dr. Kahn received his bachelor’s degree in English in 1939, and his master’s degree in English in 1940, both from the University of Michigan. Initially, he taught high school English in the Detroit schools, and to earn extra money worked part-time as an interviewer for a monthly survey of unemployment. The state quickly promoted him to oversee the research, and in 1942, the U.S. Census Bureau recruited him to the capital to do national data analysis. Dr. Kahn returned to U-M in 1948 to join ISR and to pursue his doctorate; he received a Ph.D. in Social Psychology in 1952. He was honored by the University with the Distinguished Faculty Achievement Award in 1985, as well as by other institutions. Dr. Kahn was a Fellow at Stanford University’s Center for Advanced Study in the Behavioral Sciences and at the Netherlands Institute for Advanced Study in the Humanities and Social Sciences. In 1970 he was elected president of the Society for the Psychological Study of Social Issues and served in the 1970s as a member of the President’s Commission on Mental Health. He was elected in 1991 to the American Academy of Arts and Sciences and in 2002 to the National Academy of Medicine, two of the nation’s most prestigious scholarly and scientific societies. Dr. Kahn relished the exchange of ideas. He enjoyed designing studies which targeted practical problems, and most of all analyzing and considering how best to apply the findings. He was a strong supporter of young people, junior scientists, women and minority scholars. He was committed to social justice and backed some of the toughest early decisions in the field. If you would like to make a gift in Bob’s memory, please consider supporting the Robert Kahn Fellowship for the Scientific Study of Social Issues, an endowed fund which was established in 2010 to honor Bob’s impact and to honor his legacy at ISR for generations to come. To make a gift online, please click here. For additional information, please contact umisr-dev@umich.edu.